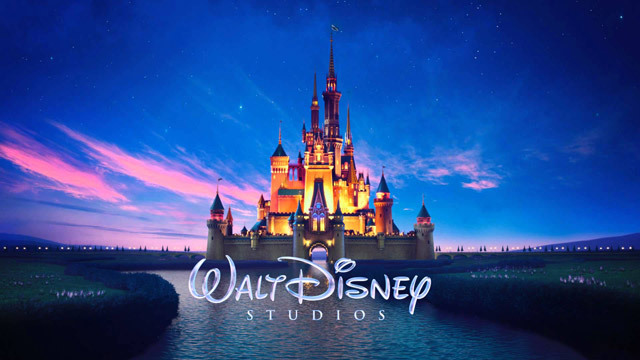 Today, The Walt Disney Studios will become the first studio ever to reach the $7 billion threshold at the global box office, setting a new industry record. With a powerful $290 million global debut for Rogue One: A Star Wars Story, Disney’s year-to-date grosses are $6.988 billion from Jan. 1 through Dec. 18, 2016, including $2.700 billion domestically, also an industry record, and $4.287 billion internationally, a Disney record. These box office results are driven by films from Disney, Walt Disney Animation Studios, Pixar Animation Studios, Marvel Studios, and Lucasfilm, representing the first time that all five of these brands have released films in the same calendar year. Currently, Disney holds five of the top 10 films of the year globally, domestically, and internationally, including the top four global, with three topping $1 billion and a fourth over $960 million, as well as the top three international and the top two domestic. All 12 Disney-produced domestic releases this year earned A-range CinemaScores from audiences, with seven additionally earning critics scores over 90% on Rotten Tomatoes. Four releases opened above $100 million, more than any other studio in a single calendar year. With Captain America: Civil War’s $179.1 million debut, Disney now holds five of the top six domestic openings in industry history; four are Marvel Cinematic Universe films. With Finding Dory and Zootopia, Disney holds four of the top five animated films of all time. Also this year, both Pixar and Marvel Studios crossed $10 billion in combined lifetime grosses for their films. Captain America: Civil War (Marvel Studios) is the #1 global and international and #2 domestic film of the year. Released domestically on May 6, its $179.1 million debut is the #5 opening of all time, and it went on to earn $408.1 million domestically and $745.1 million internationally for a global total of $1.15 billion, ranking as the #12 industry release of all time. Finding Dory (Pixar Animation Studios) is the #1 domestic and #2 global release of 2016. Released on June 17, it posted the biggest animated debut of all time with $135 million and went on to earn $486.3 million to become the #7 industry release of all time domestically. Internationally, it has taken in $541.3 million for a global total of $1.028 billion. Zootopia (Walt Disney Animation Studios) is the #3 global and #2 international release of the year. It opened to $75 million domestically on March 4, ultimately earning $341.3 million for an outstanding 4.5 domestic multiple. It earned $682.5 million internationally, including $235 million in China where it is the #1 animated release of all time (admissions), for a global total of $1.024 billion. Named among American Film Institute’s top 10 movies of the year, it is Disney’s best reviewed film of the year with 98% on Rotten Tomatoes. The Jungle Book (Disney) is the #3 international and #4 global and domestic release of 2016. It debuted in the US/Canada on April 15 with $103 million, going on to earn $364 million domestically, $602.6 million internationally, and $966.6 million globally. It is the biggest Western release of all time in India. Doctor Strange (Marvel Studios), the second Marvel Cinematic Universe release in 2016, is the #9 film of the year domestically and internationally and the #10 film of the year globally. Still in release and not yet opened in Japan, it debuted domestically on Nov. 4 with $85 million and has earned $226.2 million domestically and $426.6 million internationally for a global total of $652.8 million to date. Rogue One: A Star Wars Story (Lucasfilm) began its global rollout on Dec. 14, opening domestically Dec. 16 with $155.1 million and a global day-and-date debut of $290 million in five days of release. The film is yet to open in South Korea (Dec. 28) and China (Jan. 6). Additionally, Disney’s 2016 grosses have been bolstered by Star Wars: The Force Awakens, which debuted in December 2015 and earned $736.6 million of its $2 billion global total during the 2016 calendar year, as well as new release Moana, the second Walt Disney Animation Studios’ release of the year, which opened domestically on Nov. 23, becoming the #2 Thanksgiving debut ever with $82 million and earning $162.9 million to date in the US/Canada. Internationally, it has only opened in approximately 53% of territories, with debuts in Germany, Italy, and Australia over the next week and Brazil, South Korea, and Japan still to come in 2017.